Can You Cross the Canadian Border with a DUI California? If you have ever been arrested or convicted of driving under the influence in California, you may be criminally inadmissible to Canada and denied entry at the border unless you have received special entry permission. Even if the offense was reduced to a wet reckless, you are likely still at significant risk of a border denial. Official authorization to enter Canada with a DUI or DWI from California is available as a Temporary Resident Permit or Criminal Rehabilitation. A Canadian Temporary Resident Permit (TRP) can enable a foreign national to cross the Canadian border with a drunk driving record from California for a fixed amount of time provided he or she has an acceptable reason for visiting. Multi-entry TRPs can be used for several trips to the country and can be valid for as long as three years. Criminal Rehabilitation can permanently overcome a person's DUI or wet reckless offense enabling them to visit Canada any time they wish forever, but has a processing time of at least six months and requires full sentencing, including probation, to have been finished more than five years before applying. California DUI entering Canada? Contact our team today for a free evaluation. The main driving while impaired law in the state is found in the California Vehicle Code section 23152, sections (a) and (b). 23152(a) makes it a misdemeanor criminal offense to drive under the influence of alcohol or drugs, and 23152(b) makes it a misdemeanor to operate a motor vehicle with a blood alcohol concentration (BAC) of 0.08% of more. The punishment for both offenses are identical, and although an individual charged with drunk driving can only be punished for one of the two offenses they can be convicted of both. The second charge, or "b" count, opens a DUI case at the California Department of Motor Vehicles (California DMV) which will then suspend the motorist's driving privileges. California has a "zero tolerance" law for underage motorists that prohibits drivers under 21 from operating a motor vehicle with any amount of alcohol in their system. Anyone below the legal drinking age found to be driving a car with a blood alcohol content (BAC) above 0.00% may be arrested and charged with an Under 21 DUI. Commercial drivers, or any person with a commercial driver's license, are considered impaired and charged with drunk driving with a BAC of 0.04% or greater. California's Implied Consent Law means that anyone operating a motor vehicle on a public roadway can be arrested and charged with DUI if they refuse to submit to a breath test, blood test, or urine test when law enforcement lawfully requests such chemical testing. The minimum terms for a first conviction misdemeanor DUI in California is a fine of around $1800, a 48-hour stint in jail or 90-day driver's license restriction, and completion of a three month long alcohol-treatment program that costs $500 (9 months if your BAC was 0.20% or more). Additionally, most first-time DUI offenders in the state are placed on probation for 3-5 years. A second DUI conviction in California within ten years of the first one can include a 10-day jail sentence, completion of an 18 or 30-month long second-offender alcohol-treatment program that costs ~$1800, and installation of an ignition interlock device or I.I.D. on every vehicle the person owns. Subsequent DWI convictions lead to significantly more jail time; 120 days imprisonment for a 3rd offense, and 180 days of incarceration for a 4th offense. Requesting special permission to travel to Canada with a DUI from California can require an FBI criminal record check, which in turn requires your fingerprints. Rather than "rolling" your fingerprints and mailing them off to the government, most people now use a digital Live Scan service that enables them to obtain their FBI report faster. There are hundreds of Live Scan Fingerprint Vendors in the state, and a Government-approved list of LiveScan locations can be found here. Under many circumstances, a prosecutor may allow a defendant facing a DUI charge in California to plea to a reduced charge of wet reckless driving. A misdemeanor wet reckless is covered by California Vehicle Code Section 23103 and 23103.5 VC and only exists as a plea reduction from driving under the influence (you cannot be charged with a wet reckless directly). Many first-time DUI offenders in California end up with a wet reckless conviction as prosecutors prefer it over other driving offenses such as dry reckless since it is a priorable offense. This means a wet reckless driving conviction would be treated the same as a California DUI if the defendant is ever charged with another DUI in the state. The punishment for a wet reckless driving conviction in California typically involves alcohol classes, court fines, and suspension of driver's license. It is often possible to expunge a California DUI conviction after completing all probation for the offense which is typically three years. An expungement is an after-the-fact dismissal of the case and essentially erases the conviction for many purposes. In California, expungement of criminal records is authorized by Penal Code 1203.4 PC. 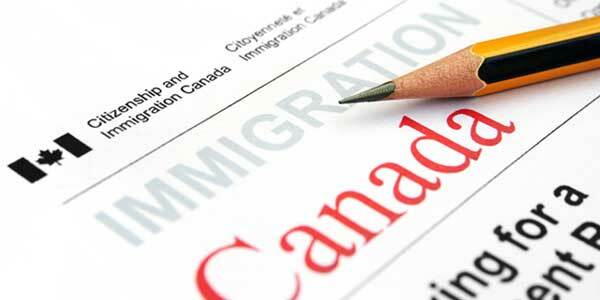 Once a person has successfully petitioned the court to expunge the offense, they may be able to enter Canada provided they can satisfy border officials that the dismissal is equivalent to a record suspension under Canadian law (so the language of the final result is important). Even after a conviction is expunged in California, it is still visible at the Canadian border so a legal opinion letter from a Canadian immigration attorney equating the exact language of the dismissal to Canadian law is advisable. Impaired driving is now a serious crime in Canada punishable by up to a decade in prison, so any such offense in a visitor's past can cause potential problems at the border. At the end of the day, entry into Canada is at the full discretion of border agents and the onus is always on the visitor to satisfy agents that they should be admitted. If you have a DUI or wet reckless offense from Los Angeles, San Diego, San Jose, San Francisco Bay Area, Fresno, Sacramento, Long Beach, Oakland, Bakersfield, Anaheim, Santa Ana, Riverside, Stockton, Chula Vista, Irvine, Fremont, San Bernardino, Modesto, Oxnard, Fontana, Huntington Beach, or any other area of California you risk being denied entry to Canada. To learn more about crossing the Canadian Border with a DUI from California, read our full guide on how to go to Canada from USA if you have a DUI. Our Canadian immigration lawyer can help you overcome a DUI California so that you can travel north of the border without a refusal of entry.